We all have a story to share. The question is, what can we learn from each other? Those of us with a passion for this ministry offer you our own stories, that you may find some commonality within this shared experience known as divorce. I had what I like to refer to as a divorce by tsunami. I was utterly blindsided by betrayal after 14 years upon the discovery of my spouse’s infidelity. After confronting him and pleading for counseling at our church, he initially agreed but then simply announced that he was leaving me (and our one and two year old babies) to move to the opposite coast to be with his affair partner. 20 hours after discovery, he took his packed bags and never returned. He left a cup of hot coffee on the counter, every possession he owned aside from his clothes, and walked away from our life together. In the blink of an eye, life for me, my son and my daughter would never be the same. The subsequent trauma and shock I experienced made even the simplest of tasks feel impossible. I was unaware that my shaking, panic attacks, hypervigilence, and extreme anxiety were all from the sudden trauma I’d experienced. Unfortunately, I didn’t realize then that what I was experiencing were all symptoms of PTSD. Because I never believed that a diagnosis of that kind could apply to me, I suffered mightily – and needlessly – for that first year. Four years later, the kids and I are living in a new rental home and doing our best to work around the gaping hole he’s left behind. It has been extremely challenging to be a single mom, but thanks to the support of friends and family I’ve been able to get my bachelor’s degree by completing my schoolwork online each night. Life for us and our ‘new normal’ is always changing, but the solid rock of the church and our love for Jesus is slowly seeing us through the pain to brighter days. DivorceCare is a Godsend. It helps to clarify what’s happening to you. It forms a bonded community of like-minded friends with shared experiences. It was so life changing in terms of my recovery that I now volunteer as a co-faciliator to help other women walk through those first darkest days, and send my kids through DC4K. I can’t recommend it strongly enough. I have been divorced twice. Going through this process has taught me a lot: my belief in God, and the lessons He has brought to me. I was a real knucklehead – I obviously didn’t learn from my first divorce, and I believe – like most men – we do not listen in depth to our wives’ emotional needs. It is imperative that we men learn how to meet these needs, rather than trying to be controlling; and develop the empathy needed to hear their wives’ hearts. My two divorces have brought me to a deeper understanding of pain, rejection and guilt. My first marriage to Maris of seven years ended when I left because of an affair that I had. I left behind my two year old son, Justin. My second marriage to Robin ended after three years; we were together for a total of five years. When she left me, I raised our nine month old daughter, Meghan. It was for the next five years that I had the privilege of raising our daughter on my own. I then took a job working with the Department of Defense (DOD) as a Marine Machinist. I was just getting my feet back on the ground financially when Robin took me back to court. She wanted custody of our daughter, as she had just remarried. I lost the case, because the judge felt it was time to reunite mother with daughter. Well, I was a real basket case that day of that judgment. I knew that I had lost. It was that day that I had a real meeting with the Holy Spirit. The Holy Spirit spoke to me, loud and clear, “Sher, Sher, Sher… let her go,” the voice said, “for I know that I have a plan for you and Meghan. I will return her to you in 3 years.” The voice and the command were so real. I had to ask, “really Lord?” I prayed, I bargained. This must have been like the anguish that Christ felt in the garden, asking His Father to lift this burden from Him. I picked myself up off the floor, went to the courthouse, gave my Meghan to my attorney. I told my attorney that I knew I had lost, and asked her if she could take Meghan to her mother. It was three years to the month after that day that I got the call to come and retrieve my daughter. Robin had committed suicide. As a ministry I began teaching classes in loss and divorce recovery. After that, I was single for 18 years, lots of soul searching during this time. Meghan and I moved to San Diego and began to build a life here among my uncle, aunt and cousins, who provided a strong sense of family and belonging for both of us. I met my third wife, Barbara, at Skyline Church. We really weren’t attracted to one another at the start. I was too loud for her tastes and she was too stuck-up for my liking. God was working on both our characters at the time. We fell in love and have been married now for 15 years. We are so evenly yoked, and are often amazed that God brought us together. Believing what God has provided for us in this union, we know that His hand is upon us. When we married we brought together our two families. All four of our children are married, and have given us 12 wonderful grandchildren. Since I am 68 years old, there’s a lot of ground to cover in a short time. I met my first husband when we both started junior high, at age 12 years. He was tall, dark and handsome, and we had a great time laughing in Math class. In 8th grade we both were in the marching band and by 9th grade (age 14 years) we were going steady. On reflection, we were both pretty insecure, and compensated by clinging to each other. We were enmeshed in each other. Wherever I was, he was there by my side. Always. We dated all through high school for 4 years, dreamed and made plans, and were married at age 21 years. As a teen, I received Christ as my personal savior with him by my side, and he encouraged me in our mutual Christian faith. He eventually completed a master’s degree, and an Ed.D. in education. Two years later our second daughter was born. They were wonderful children and we both enjoyed them immensely. I would say that parenting together was the thing we did best. Our children were SUCH a priority to us – perhaps too much the central focus of our relationship – which made me feel overly secure. I overlooked the fact that he, as a late bloomer, was finding more satisfaction and identity in his career and long-distance running than in sharing his personal growth with me. But our mutual devotion to our family masked this, and I was unaware. We had just attended our 20th high school reunion after 17 years of marriage when he told me he had feelings for a woman he worked with. I was dumbfounded and reeled with disbelief. Since I felt we were very close, and he always expressed what a wonderful wife and mother I was, I just couldn’t wrap my mind around this new fact. Including our dating years, we had been together for 25 years. Our daughters were 10 and 12 years old at this time. I had been a stay-at-home mom for 13 years and thought I’d be home forever. I volunteered in their classes, and took them to all the lessons they were interested in, hand-sewed costumes and made the holidays magical for our family. We had introduced our girls to backpacking when they were preschoolers, and also took them cross-country skiing. Disneyland was always a special family time for us, and we went frequently. Our life seemed pretty perfect to me. But I was wrong. Under the surface of what was evidently a shallow happiness, there loomed in my husband a dark insecurity and restlessness, no matter how many degrees and achievements he garnered. And the things that I felt insecure about had gone unaddressed for too long and no longer mattered. I felt unbelievably abandoned. When he announced to each daughter that he was leaving, they were understandably traumatized and shell-shocked. I remember the vivid thought I had as he did this, “you are altering the course of their lives forever, and damaging them in ways they will never recover from.” The feelings of our daughters later turned to anger, pleading with him not to leave. They actually DID have a voice and used it, but the tragedy was that their dad couldn’t hear them. He became more and more involved with the other woman, and I numbly wilted into the background, overcome with grief. Those who loved us did their best to speak truth to him about the mistake he was making, and supported me in my loss. I clung to the Lord each day just to make it through, and encouraged my daughters, who were shattered, to do the same. I still couldn’t wrap my mind around the truth of his feelings and actions. He moved in with his girlfriend and her two children. Shame and sadness became my companions. I sold our home, re-entered the workforce and registered my daughters at a Christian school to provide as much spiritual and family support as I could. We stayed connected to my family, and my in-laws stayed connected to their grandchildren, but not to me. It was a bleak, nightmarish and heartbreaking time for us. Were it not for the ever-present love of God, family and friends, this turn of events in my life could have damaged me beyond repair. I loved my husband . . . what was I supposed to do with that? He was all I had ever known, and, at age 38 years I had never lived my life without him, and couldn’t imagine how I was supposed to do that now. The grief, shame and betrayal were incapacitating. Alternating between grief and anger, I spent the next 13 years working at recovery on my own with only my Bible and my precious Jesus, who promised He would never forsake me, and told me through His Word that I was his treasure. For my girls, they went from living full-time with both parents and being adored by their dad, to visiting with him every other Saturday until they were 18 years old. Added to their grief was that they had to share their dad with another woman and her two children, who lived with him full-time. They now have a split life and a shattered identity. My deep love for my girls never faltered, but I knew they felt my pain, as we grieved our loss together. My biggest regret from those dark days was that I allowed them more access to my experience of loss than they should have had to handle; and while they were very loving and compassionate, they felt much too responsible for helping me through this dark time. I journaled daily, attended prayer meetings, women’s Bible studies, was discipled and mentored, and worked hard to grow in my faith and become the mature woman I knew Christ wanted me to be. Despite the burden of grief my girls and I carried through those years, we developed a very close and intimate friendship, and made sure to cherish our family times together. My recollection is that it took me about 7 years to forgive my husband for the betrayal of me. Forgiving him for abandoning his children – well, it comes and goes. He stays present in their lives, but at a distance, and still with the same woman. This wounded them (and was awkward for me) continually through the years. It still wounds them to this day, 30 years later. They have worked hard to forgive their father and her, but because their dad doesn’t see his decision to leave our home as a mistake, they struggle. Children, unfortunately, are the silent and unwilling partners to the divorce experience. I have been searching for years for ways to help them with their pain, and recently came upon an author, Leila Miller who wrote the book, “PRIMAL LOSS – The Now Adult Children of Divorce Speak.” This book cracks open the silent suffering of children of divorce in a way that is now beginning to shed light on these areas of their hearts and lives, and will, I pray, help our kids, and others, in their struggles. I recommend it to all who are considering divorce, and to those adult kids whose parents have divorced. I wish I had known about the DivorceCare program while I was a single, abandoned parent. Through my experience teaching it I see that it gives you structure, and words to express what you are experiencing. It would have set me on a path to understanding what happened to my marriage and healing from the pain of divorce. The support these groups provide to the members is just invaluable while sharing a trauma like divorce. Healing begins to take place in a setting of loving fellow sufferers looking to the Lord. After 13 years of being a single mom who didn’t date (I was now 52 years old, and both daughters away in college) I met a man, Sher Takahashi, in the singles class at our church. Neither of us liked each other at first, but grew to love the good character qualities we saw in each other. Once we started dating, we were very attracted and deeply committed to a loving future together and sought out as much Christian counsel and accountability as we could. Divorce-proofing our marriage was our top priority. Our young adult children came together in a wonderful way, and all four of them accepted both of us into their lives graciously. 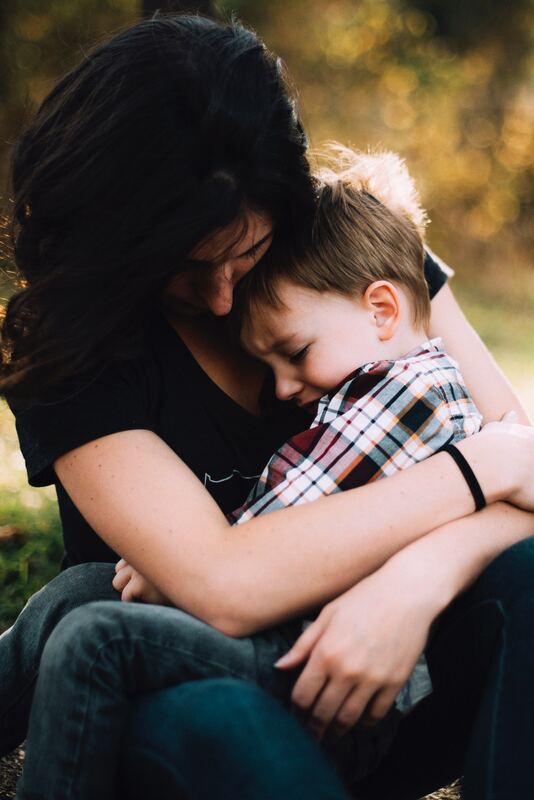 This is not to say that our children – all of whom experienced the agony of divorce – are completely healed and undamaged from their childhood trauma. No, divorce is devastating to children. If parents knew what they were setting their children up for the rest of their lives, they would never do it. I heard it said by Catholic Deacon Harold Berg that, “Divorce is like putting your cross down . . . and having your children pick it up.” I believe that is true. The abandonment, isolation, insecurity about their own marriages, and inability to navigate conflict that will attach to children of divorce is life-altering for them. Sher and I still work faithfully at our marriage, learning to love and respect how we are different, and thanking God for the blessing of a believing, committed spouse. Sher knows how much I need to speak my true feelings to him, and he fearlessly and lovingly encourages me to do so. We’ve been happily married for 15 years now, have four married children and 12 precious grandchildren (not all of them are pictured below). God has been so gracious to both of us as we serve Him in helping others through the crucible of divorce in DivorceCare, and their children through DivorceCare for Kids. My divorce in 2010 was no doubt a traumatic life experience. A key contributor to my divorce is the fact that my wife and I were never able to resolve our religious differences. My wife was raised as a catholic and I was raised in the Christian, Methodist & Episcopal (CME) Church. Because of this difference we didn’t raise our children in any religion. I went to church from time to time. After my divorce, I made it a priority to renew my commitment to Christ and join a local church. Shortly thereafter, I made Skyline Wesleyan Church in La Mesa, California my home Church. I discovered Skyline offered a wide range of ministries such as groups to support members with various life challenges such as divorce. I enrolled in Skyline Divorce Care Program to establish a support group to help me cope with my divorce. I didn’t feel comfortable discussing divorce with anyone including immediate family. Divorce care reminded me of my daughter’s soccer days. My daughter was an outstanding soccer player in elementary school as well as a Division I collegiate soccer athlete. During my daughter’s elementary school soccer days, she would get upset, disappointed and completely fall apart during our drive home after a hard-fought loss. The drive home allowed my daughter privacy, and a trusted place to freely express herself and settle down. Just like the drive home, DivorceCare provided a safe place to express my true feelings without judgement, and to evaluate my actions during marriage through practical exercises and group discussions which help me get through a difficult divorce process. I am now happily remarried, and a better husband today.